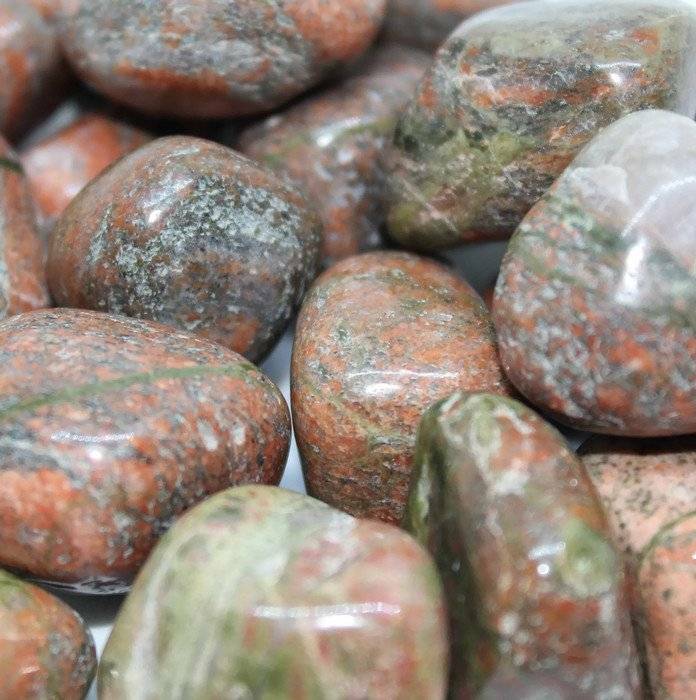 Small pieces of tumbled Unakite, available in four sizes. 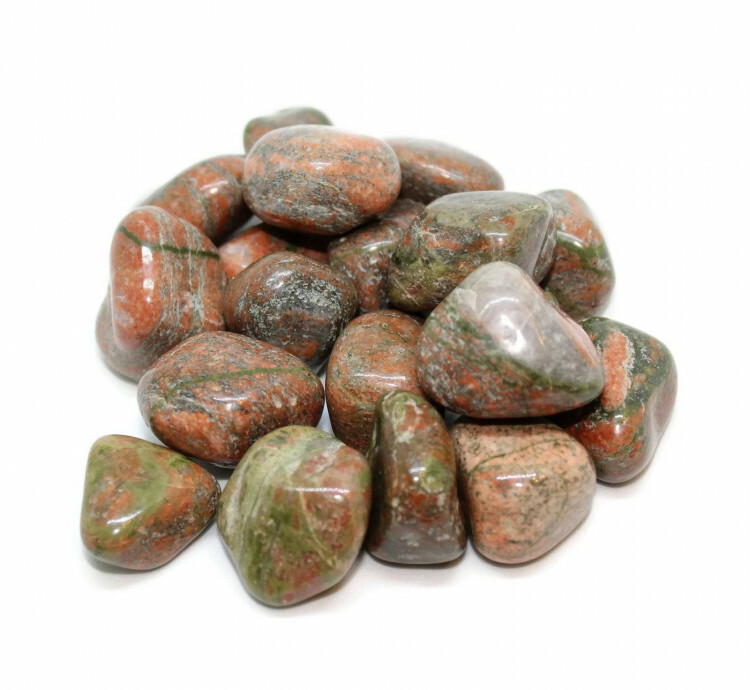 Unakite tumblestones, available in four different sizes – from small to large. These are a decent grade of Unakite, and are very pretty stones. They’d make an interesting display piece, but because of he mixture of colours in Unakite they don’t really contrast well with anything! They do look great in a wooden bowl, though. 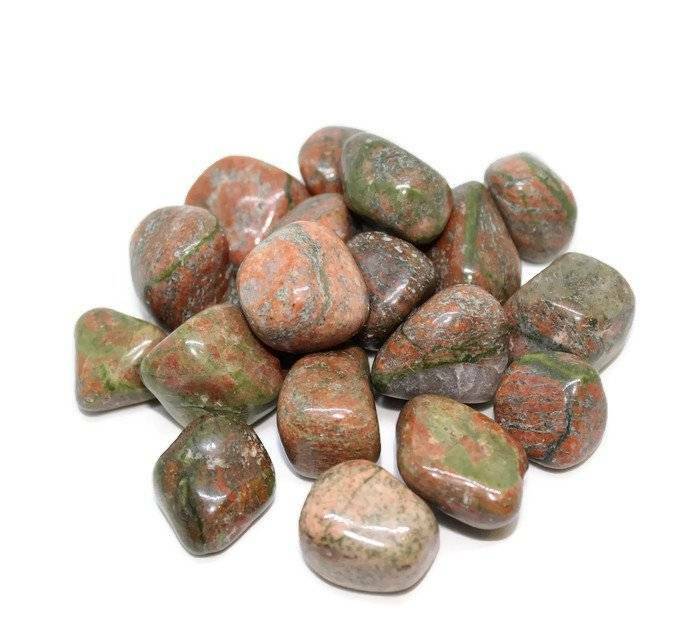 Unakite should be perfectly safe to use as fishtank/aquarium gravel, or in a terrarium, vivarium, etc – anywhere you need an interesting decorative stone. For more information about Unakite, and a list of any other products we sell, please check our main Unakite page.